The Law Office of Robert H. Gregory, P.C. specializes in handling all types of nursing home abuse and neglect cases in and near Springfield, Illinois and throughout the state. 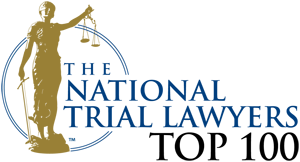 For over 20 years, our law firm has represented Illinois families of abused and neglected nursing home residents. More families are now turning to nursing homes and assisted living facilities to help care for their aging loved ones. When placing an elderly loved one into nursing home care, the last thing that you want to worry about is his or her safety and well being. Unfortunately, due to budget cuts and staff layoffs, nursing home abuse and neglect has increasingly become more common in recent years and often goes unpunished or undetected until it is too late. Because of this, it has become more important than ever for family members of nursing home residents to monitor the well-being of their loved ones to see that their needs are met in a prompt manner. Elderly victims of nursing home abuse often fail to notify loved ones out of fear or shame. It is therefore vital that families be suspicious of any warning signs such as fractures & falls, dehydration & malnutrition, decubitus ulcers (bed sores), or any other changes in behavior that seem out of the ordinary. 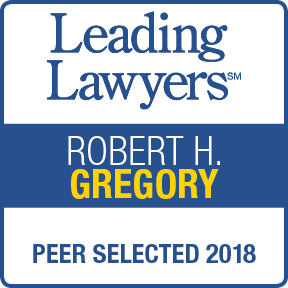 Bob Gregory, a nursing home abuse attorney serving Springfield Illinois, has been named as an Illinois Leading Lawyer for his expertise in nursing home neglect and abuse claims. Bob has been a recipient of this honor each year since 2012. 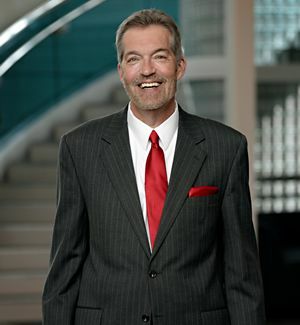 He was also recently honored as a 2015 Top 100 Trial Lawyer in Illinois by The National Trial Lawyers. He is highly respected among his legal peers and has achieved numerous multi-million dollar verdicts and settlements for clients over the course of his career. Because nursing home abuse is a very specialized area of law, it requires an attorney that has experience, dedication and commitment to helping nursing home abuse victims and their families obtain compensation for the abuse they have endured. If you suspect that your loved one has been the victim of abuse by a nursing home or senior care facility, don’t hesitate to contact the Law Office of Robert H. Gregory, P.C. today to discuss your case and discover how we have earned our reputation for excellence. For those who are be faced with the decision of placing a family member in an Illinois nursing home, please feel free to contact our office for a free Nursing Home Checklist, which may provide assistance to you in making the decision of which nursing home you choose. A significant portion of our law practice is devoted to claims against nursing homes and skilled nursing facilities involving falls, fractures, dehydration, malnutrition, decubitus ulcers (pressure sores or bedsores), physical abuse, emotional abuse, sexual abuse, elopement, medication errors and all other failures of care. If you have a loved one that has experienced negligent nursing home care, you need an attorney serving Springfield, Illinois that is devoted to nursing home abuse and neglect claims. The Law Office of Robert H. Gregory, P.C. is familiar with ever changing state and federal nursing home regulations, policies, procedures and laws. We are experts in the Illinois nursing home industry.